The error 21916111 is linked to the payment policies. Please be sure that the payment policies that you’ve chosen during the configuration of the category is valid. 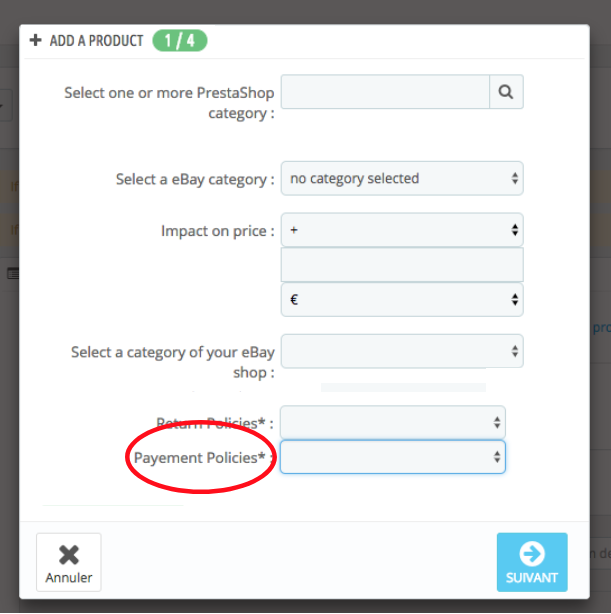 We suggest you to change your choice in the fiels “Payment Policies”, because your choice may be not valid for eBay’s rules.